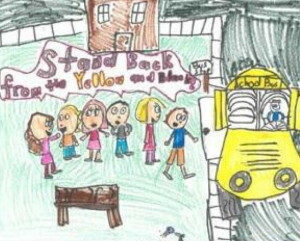 A first-place student drawing illustrates the importance of school bus safety. The red lights on the school bus were flashing and its arm was extended when a truck blew right past it on West Lincoln Highway in Valley Township recently. Unfortunately for the driver, Valley Township Police Chief Joseph Friel witnessed the egregious safety violation, one of several reasons his department is participating in the 17th Annual Operation Safe Stop, a school-bus safety initiative that will be conducted in communities across the state on Wednesday. 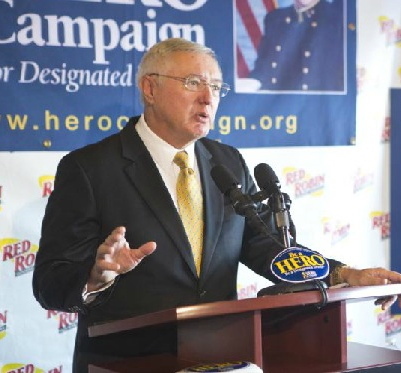 “It’s amazing how many people violate the rules; it’s especially dangerous on the highway, where people are also speeding,” Friel said. 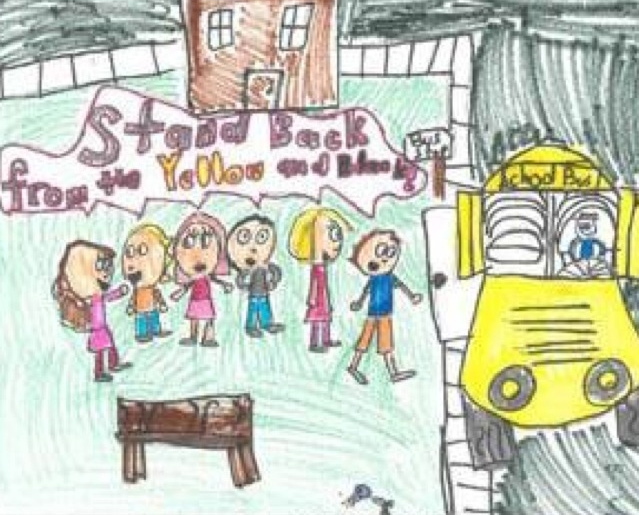 Held during National School Bus Safety Week, which runs Oct. 21-25, Operation Safe Stop is a proactive approach to educate the motoring public that passing a stopped school bus, when children are loading or unloading, is both dangerous and illegal. 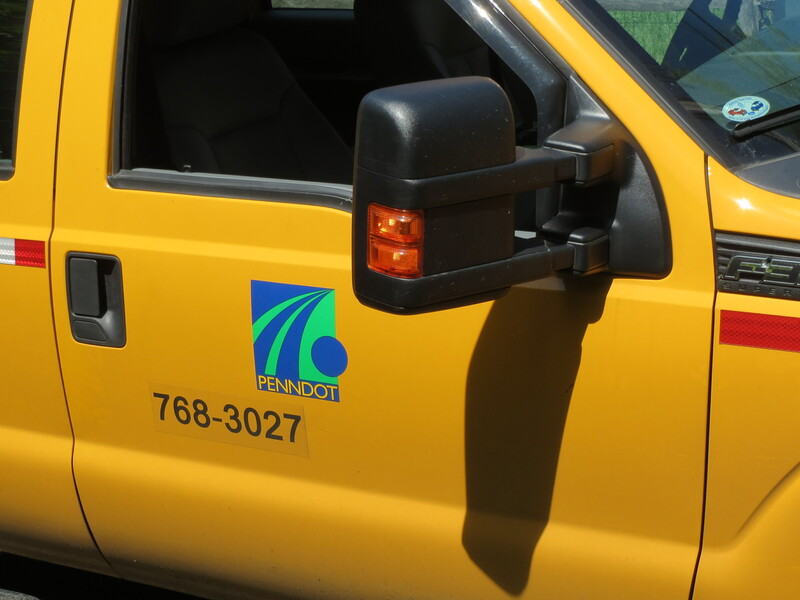 Law enforcement agencies, school transportation providers, pupil transportation associations and the Pennsylvania Department of Transportation (PennDOT) have combined their efforts to raise public awareness about the potential consequences, and reduce the occurrence of illegal school bus passes. On Wednesday, school districts are being asked to have their drivers document any illegal passes occurring on their routes during the day. 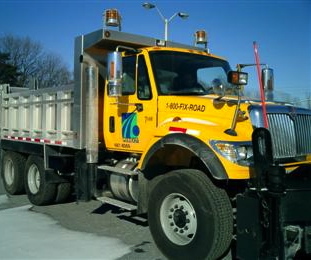 They should obtain identifying information regarding the vehicle and the driver and file it with local authorities, a PennDOT news release said. 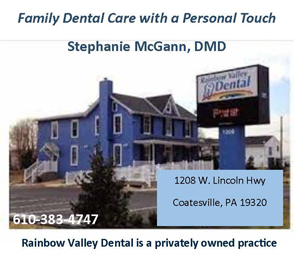 Friel said he learned about the initiative from the Coatesville Police Department, which is also participating. Friel said he plans to have two officers ride on school buses on Wednesday, and patrol cars will be posted at trouble spots, such as West Lincoln and Old Lincoln Highways. Pennsylvania’s School Bus Stopping Law requires motorists to stop at least 10 feet away from school buses that have their red lights flashing and stop arm extended. Motorists must stop when they are behind the bus, meeting the bus, or approaching an intersection where a bus is stopped. Motorists following or traveling alongside a school bus must also stop until the red lights have stopped flashing, the stop arm is withdrawn, and all children have reached safety, the release said. If physical barriers such as grassy medians, guide rails or concrete median barriers separate oncoming traffic from the bus, motorists in the opposing lanes may proceed without stopping, the release said.